Why do I want to remodel my kitchen? Define the purpose. Every decision you will make from here on out with regard to your new kitchen will depend on your purpose in doing so. Only jump in if the reason makes sense to you and you are 100% on board. How long will I be staying here? A kitchen remodel is a permanent change. Consider the duration of your stay in the house that you are currently living in. Would it be okay to remodel the kitchen now or should you wait it out? More importantly, are you remodeling in order to sell your house? If so, consider getting the opinion of a real estate agent before making the changes. Is this the right time for me to remodel my kitchen? This is not a financial question. While answering this, think about factors such as your lifestyle, the time you have, your living situation etc. A kitchen renovation may take anywhere from two to four months (or even more) depending on the changes. Can you afford not having access to a full kitchen during this time? How much can I spend on this? Before making any decisions, make a budget. How much money do you have at the moment? Would it be better to plan the budget, save up and then launch into remodeling? If you have already been setting aside money, set a ceiling amount for the remodel. Set aside miscellaneous expenses so that if all goes well, you are left with $5000 – $10,000. Consider this money an emergency provision. 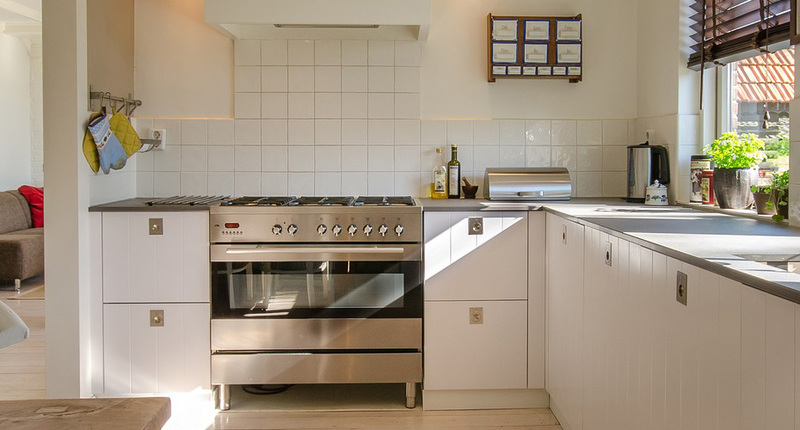 If the kitchen remodel is large-scale, it is advisable to hire a contractor. Take into account your plan, your skill set, and your finances. If you have the ability to do the remodel yourself, that’s great! But, if you are unsure about any of these factors, get a contractor who can take it off your hands and get it done for you. How often do I use my kitchen? How often do you use your kitchen – thrice a day, regularly or from time to time? Your kitchen should suit your lifestyle. If you generally eat out or order in and use your kitchen only for special occasions, take that into consideration while re-designing. A kitchen remodel requires a large financial investment. Before changing everything, have a look at your current kitchen and consider the possibility of retaining parts of your kitchen that can fit into your new design. What style of design should I choose? Would you like a personalized kitchen, a trendy kitchen or a timeless kitchen? While remodeling, keep in mind that your kitchen should reflect who you are. For example, if you are someone who enjoys cooking and spends most of their time in the kitchen, then you would consider designing something highly personal. Is my kitchen design functional? Having a functional kitchen is important. For example, do you have enough natural lighting or would you need to add more lights? For ease of cooking, it is also advised by most designers to lay out your stove, sink, and countertop in a triangular fashion. Consider this and other design structures that will optimize functionality. Does my kitchen look like it belongs with the rest of my house? Ask yourself if the new design goes well with the rest of the house. Your kitchen is a part of your home, so choose a design that merges well with the current design and ambiance of your living space.